OK, so yesterday I went a little overboard. See I need some “French” themed papers for a custom banner I was doing. 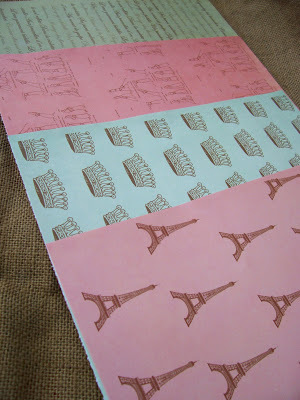 I went to 5 craft and scrapbook paper stores and nary did a French themed paper did a find. Hurumph. And all that gas wasted driving cross town! 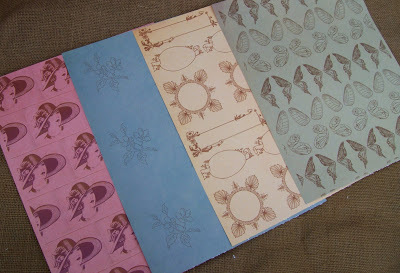 So I made some French inspired papers. 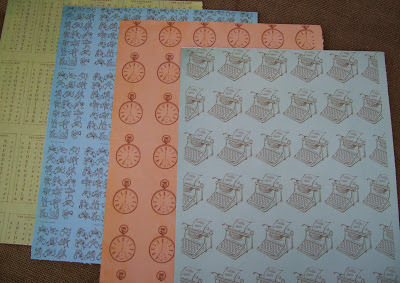 And then some Garden Party papers. And then some School papers. 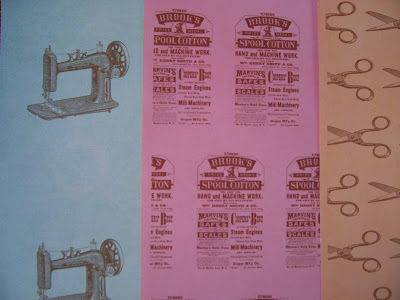 And then some Sewing papers. And then some… well you get the drift of how things went from there… Once I started I just couldn’t stop. So what to do with all these papers? Well sell them of course! So now all the paper packs are for sale at Storia HOME and with each Paper Pack purchase you will get a surprise piece of ephemera that goes with your paper pack! oh i love, LOVE the sewing ones! Those are awesome!!! Wow is all I can say!!!! I just have to know if you printed or stamped? Either way they look really cute! Oh I printed – could never have stamped that uniformly! 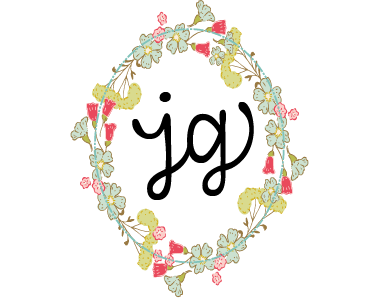 But I did them in a brown ink for a hand stamped look, so I am so glad you asked! Jerusalem the sewing papers are tempting me!